A quality product must be supported by a good after sale service. This must not be intended as a simple problem-solving package, but as a way get the best results out of any tool. That’s why the Company gives a lot of importance to customer’s assistance. Installers and operators know that they can count on a quick response to any question concerning Idrobenne’s grapples. The Company’s experienced and skilled staff is able to understand and analyse any difficulty and to give quick answers. The priority is always given to assistance, in order to avoid any machine downtime. Through its commercial and technical departments, IDROBENNE provides all information on mounting, tuning, use and servicing of any grab delivered. Idrobenne can take care of the most difficult maintenance operations in its own workshop. This makes repair operations or general machine overhaul very quick and precise. 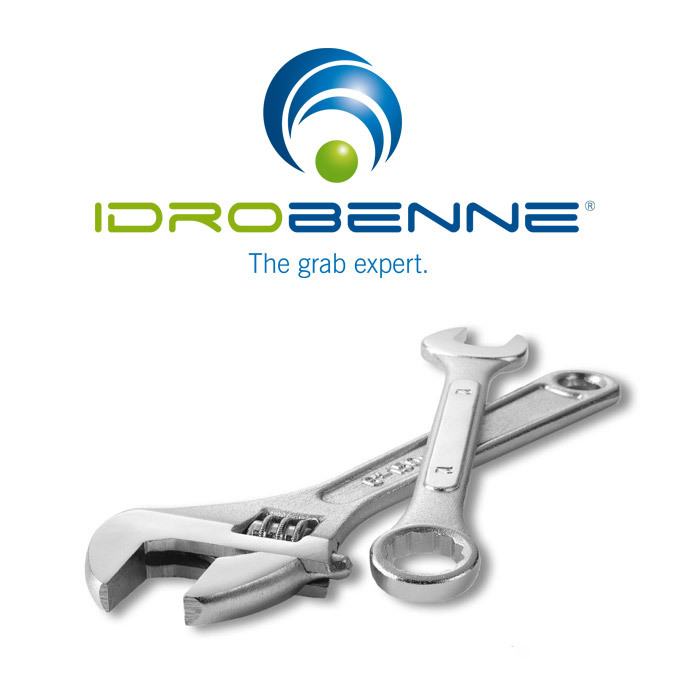 Official Idrobenne dealers can take care of any maintenance operations as well. The Company keeps on stock almost any spare part for the equipment sold in the previous 10 years. This enables the Company to provide a fast response to our customers when required, thereby helping to avoid expensive machine downtime. A use and servicing handbook complete of CE certificate, drawing and spare parts list is delivered with each equipment. A serial number is assigned to the equipments to clearly identify model and customer, which is referred to. IDROBENNE grants clear and easy to understand warranty conditions, which cover any equipment for 12 months. This has helped creating a solid relationship between our end-users and us. Please login to download the warranty sheet.